Global IT Asset Disposition, Certified E-Waste Recycling, Secure Data Destruction, Hard Drive Shredding, Equipment Destruction & Reverse Logistics From the World’s Leading Electronics Recycler. Protect against data breaches & ensure full data security compliance with industry leading certified data wipes, hard drive destruction & On-Site Shredding. Secure & certified services for any size organization. All Green Electronics Recycling offers global ITAD services that are focused on security and convenience. We will package, pickup, transport, receive, provide reporting and then destroy, recycle or reuse your outdated IT Equipment in order to minimize your costs and maximize returns. Your data will always be protected with our certified tracking and destruction system. 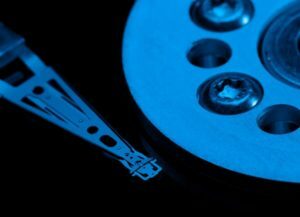 We specialize in Hard Drive Wiping, Hard Drive Crushing, Hard Drive Degaussing and On-Site Hard Drive Shredding in order to always protect your data. In addition to hard drives, we have the capabilities to destroy Tape Backup Drives, SSD drives, and any other data containing device. Our custom-built system called Green Pulse Data Annihilator has been recognized as a leader in the industry for wiping devices and our mobile hard drive shredding trucks are known in the industry as the most advanced mobile hard drive shredding systems. Get the highest return on the value of your IT Equipment located anywhere in the world with our streamlined solution for IT Asset Disposition. Generate revenue when retiring you end-of-life IT Asset, including Computers, Servers, Laptops, Cell Phones, Telecom Equipment, and Networking Equipment. We will provide detailed reporting, packaging, removal, logistics, data destruction, testing, refurbishment, and resale. As a Microsoft Authorized Refurbisher, we can return the maximum value for all of your retiring IT assets anywhere in the world. Finally, our lease buyback program guarantees a higher return than going back to the leasing company. Do not allow your equipment to ever end up on the market again! We are the provider the biggest companies and government agencies in the world trust when they want to make absolutely certain their equipment is completely destroyed. Since 2008, we have established ourselves as the world’s leader in secure and guaranteed equipment destruction. Our warehouses are laid out in a manner to ensure security for your equipment. Additionally, every item entering our building is tracked with our industry-leading and proprietary software called Green Pulse to ensure your equipment is always securely and completely destroyed. Don’t fall victim to a data breach or violation of standards such as HIPAA, NIST or DOD. Our network of high-security mobile shredding facilities services the 48 United States for on-site data destruction. Witnessed hard drive shredding is the ultimate in data security and protecting against data breaches. If you possess any Personally Identifiable Information (PII) for your clients or employees, contact us for on-site shredding services. The largest banks, hospitals and government entities in the United States have been working with us for nearly a decade because our full-scale data security solution is second to none. Reverse supply chain management and returns management is an essential part of any electronics manufacturing or distribution process. With our highly specialized and organized system, we can handle as much or as little of the reverse logistics process for you as you need. We offer a full-scale returns management system, including shipping, reporting, testing, refurbishment, inventory and fulfillment solution. Your supply chain network can focus on doing what it does best while we do what we do best. Combine our reverse logistics process with our equipment remarketing, redeployment, or secure destruction services for a solution that allows you to keep focused on forward logistics while we handle all elements of your reverse logistics. Environmentally friendly E-waste recycling, dismantling and shredding services with the convenient and security that always comes with our name. We support international, national and local businesses, along with local governments and other collectors and recyclers of electronics. Stay compliant with all city, state and federal requirements by trusting the most trusted brand in recycling. Computer recycling, laptop recycling, cell phone recycling, server recycling, monitor recycling and the recycling of any old and unwanted electronic equipment is secure and convenient with All Green Electronics Recycling. In addition to traditional IT Equipment, we recycle network equipment, telecom equipment, televisions, mobile phones, tablets and just about anything that plugs in or takes a battery. Since our first days in the electronics recycling industry, we have placed a very high importance on giving back to the community. Every year, we donate over $100,000 to local and regional non-profits while also eliminating e-waste from landfills. This also gives us the ability to further provide consumer e-waste recycling services to those in the local community can get the same benefits as the enterprise level clients we serve. 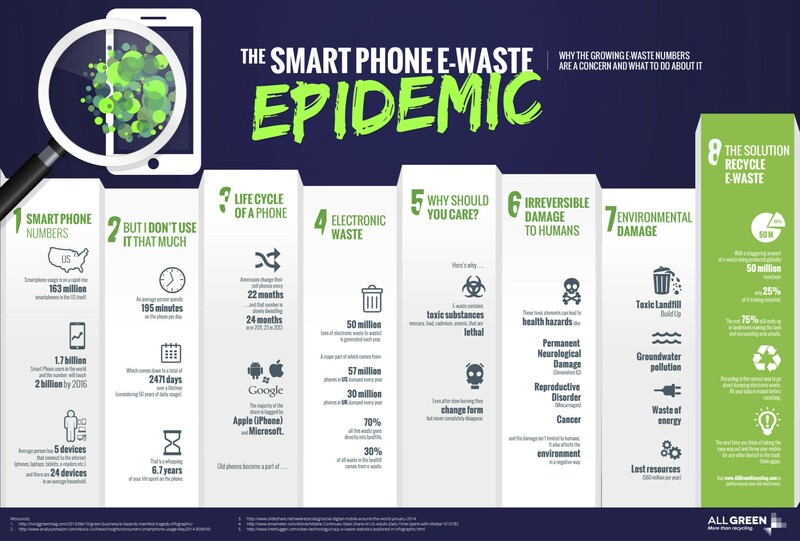 We work with Schools, Churches, Cities, Libraries, Clubs and Non-Profit Organizations to hold Free E-Waste Recycling Events on a weekly basis. As part of our commitment to the community, we hold these events on a weekly basis. 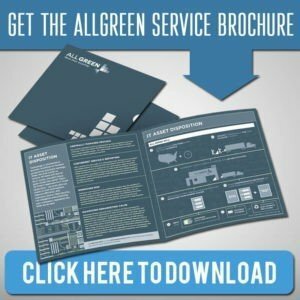 As an IT Asset Disposition company and a Refurbisher of IT Equipment, we have a unique ability to produce high-quality and low-cost equipment. These refurbished Laptops, PCs and Cell Phones allow kids in low-income areas to have access to the technology that will allow them to compete and excel. From the day our company was started, the founder of our company has pledged to match any donation of IT Equipment for families in need one for one. 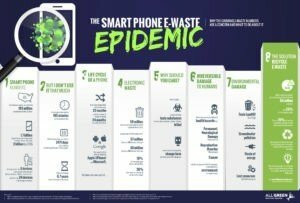 If your organization has cell phones, laptops, tablets or computers you would like to donate, not only will we provide logistics, data destruction, reporting, and refurbishment but we will also match your donation one for one! Having earned the highest levels of certification in the e-waste recycling industry, we operate our facilities at the highest possible level. We hold ourselves to the highest standards for data security, recycling, refurbishment, and safety because we want to protect you and your name. Trust All Green with your end-of-life IT Assets because we are committed to doing what we do best so you can do what you do best. Invest in your security & compliance with our full-scale IT Asset Disposition, Electronics Recycling, E-Waste Disposal, Hard Drive Destruction, Data Wiping, Reverse Logistics, and Secure Equipment Destruction solutions.